Trisha Baga works on a vase at the Greenwich House Pottery for a friend, 2018. 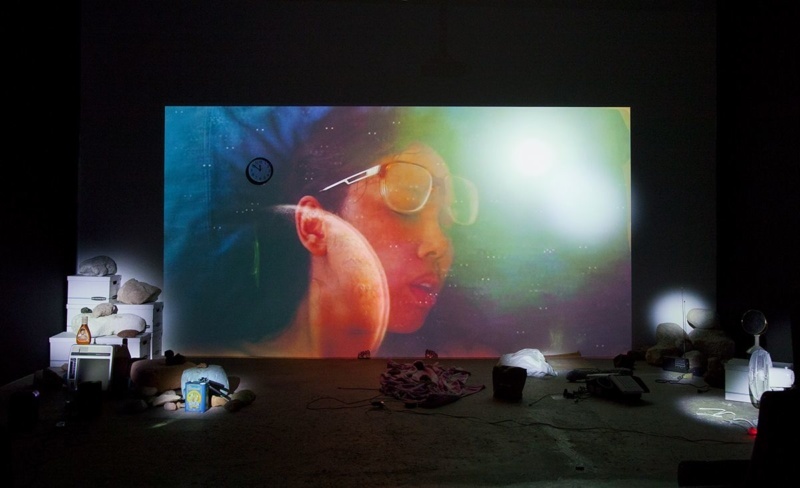 Trisha Baga’s work in video and installation is a sustained inquiry into the possibility of disrupting art history—with the body, lived experience and identity. To be an artist is to both absorb that which has come before and to reject its claim to authenticity. As Baga says, “I think of how problematic it feels to build upon existing languages, forms and pre-established referent/meaning relationships as though they have any authority. As a person of my background and identity and experience, I find this isolating and uninspiring. Authority should always be resisted, even if it’s just for fun.” History becomes a site of play, where master narratives have no power and instead become fodder for transformation and translation. Installation view of Trisha Baga’s Mollusca & The Pelvic Floor, 2018. There is a sense that so much space—artistically and politically—these days is taken up by a desire to know an indisputable answer, without nuance or debate. Baga conversely insists on a debate, on the complication of discourse within the messiness of human subjectivity.